Embattled liquor tycoon Vijay Mallya, wanted in India on fraud charges, returned to Westminster Magistrates’ Court here today for closing arguments in his high-profile extradition trial. The 62-year-old former Kingfisher Airlines boss, who has been on bail on an extradition warrant since his arrest in April last year, is fighting extradition to India on charges of fraud and money laundering amounting to around Rs 9,000 crores. At the last hearing in the case on April 27, the Central Bureau of Investigation (CBI) had received a boost in the case as Judge Arbuthnot confirmed that the bulk of the evidence submitted by the Indian authorities will be admissible in the case. The CBI had submitted a detailed set of documents to the UK court, which includes its case of conspiracy against former IDBI Bank Deputy Managing Director BK Batra, who was referred to in court as a new “villain” of sorts in the case. As per the Indian authorities’ case of conspiracy, Batra reportedly colluded with Mallya in sanctioning some of the loans to the now-defunct Kingfisher Airlines without following due diligence procedures. In the separate extradition proceedings, if the judge rules in favour of the Indian government, the UK home secretary will have two months to sign Mallya’s extradition order. However, both sides will have the chance to appeal in higher courts in the UK against the Magistrates’ Court verdict. Mallya’s defence team, headed by barrister Clare Montgomery, has disputed the fraud allegations and also submitted further written material from UK-based prisons expert Dr Alan Mitchell, challenging some of the photographs of Barrack 12 of Mumbai Central Prison on Arthur Road, where Mallya is to be held if he is extradited from the UK. The CPS team, led by barrister Mark Summers, dismissed the additional material as an “attempt to criticise” the information provided by the Indian authorities. The extradition trial, which opened at the London court on December 4 last year, is aimed at laying out a prima facie case of fraud against Mallya, who has been based in the UK since he left India in March 2016. 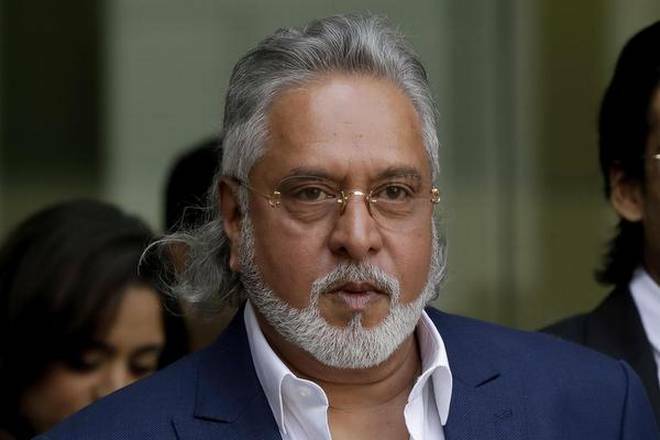 It also seeks to prove there are no “bars to extradition” and that the tycoon is assured a fair trial in India over his now-defunct Kingfisher Airlines’ alleged default of over Rs 9,000 crores in loans from a consortium of Indian banks. The CPS has argued that the evidence they have presented establishes “dishonesty” on the part of the businessman and that there are no bars to him being extradited from the UK to face Indian courts. Mallya’s defence team has deposed a series of expert witnesses to claim he had no “fraudulent” intentions and that he is unlikely to get a fair trial in India. Last month, after a prolonged period of silence, Mallya had issued a lengthy media statement, labelling the CBI and Enforcement Directorate (ED) charges against him as untenable and blatantly false”. He has since lost his appeal in the UK’s Court of Appeal against a High Court order in favour of 13 Indian banks to recover funds amounting to nearly 1.145 billion pounds. The High Court order in favour of the State Bank of India (SBI) led consortium had reinforced a worldwide freezing order against Mallya’s assets. It was followed by a related enforcement order last month granting permission to the UK High Court Enforcement Officer to enter Mallya’s properties in Hertfordshire, near London, where he is based. Mallya has since said that he has handed over a full statement of his UK assets to the court and there was no question of the use of force to enter his home, Ladywalk, in the village of Tewin in England.